Does It Cost More to Maintain a Hybrid? Are you thinking about buying a hybrid but keep putting it off because you’re not sure what it would take to keep it properly maintained. Since hybrids use both electric and gasoline fueled engines, many assume that maintenance cost would be double but that’s not necessarily the case. In fact, the cost of routine maintenance is about the same for a hybrid as it is for regular vehicles because the requirements are mostly the same. Since the hybrid does have a gasoline engine, it requires the same maintenance as regular vehicles. When you take it to be serviced, the technician will perform the same checks and look for the same problems that they would for regular vehicles. 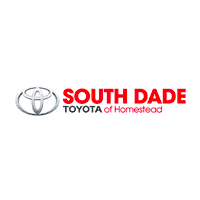 Here at South Dade Toyota, we schedule regular service checks to help you keep your new vehicle in good running condition. While it normally does not take much to maintain a hybrid engine, you will need to take the vehicle to a certified technician to have it serviced. Hybrids have dual voltage systems wrapped in bright orange casing that can produce a fatal electrical shock if not handled carefully. For this reason, only someone qualified with knowledge of the system should perform maintenance checks just to be safe. Some manufacturers also recommend changing the inverter coolant every 30,000 miles. However, the cooling systems for the regenerative braking and propulsion systems are very delicate, which is why having your vehicle serviced by a certified technician is always best. Regular maintenance will definitely extend the life of your hybrid and keep it in good running condition and the cost is about the same as for traditional vehicles. You may even save money since it’s less wear on the gasoline engine due to the fact that it shuts down when the electric motor is in use. Drop by or give us a call to learn more about Toyota hybrid technology and how to maintain these vehicles properly. Learning all you can about them will help you determine if it’s the right choice for you. If you decide it’s time to invest in a hybrid, we have a nice selection to choose from, so check out our inventory to see which one you’re the most interested in. 0 comment(s) so far on Does It Cost More to Maintain a Hybrid?